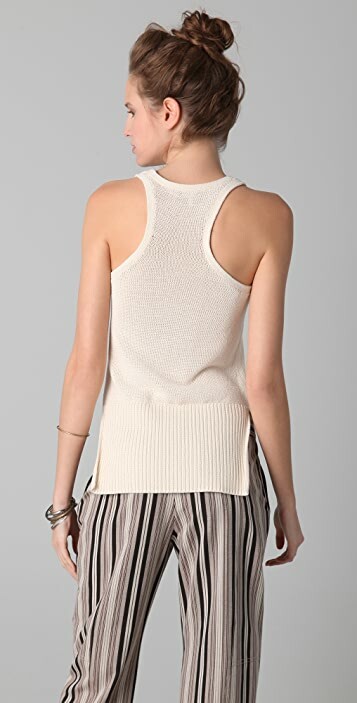 This scoop-neck sweater tank features ribbed edges and an asymmetrical hem. Racer back and 1.5" straps. Semi-sheer. * 23" long, measured from front shoulder. 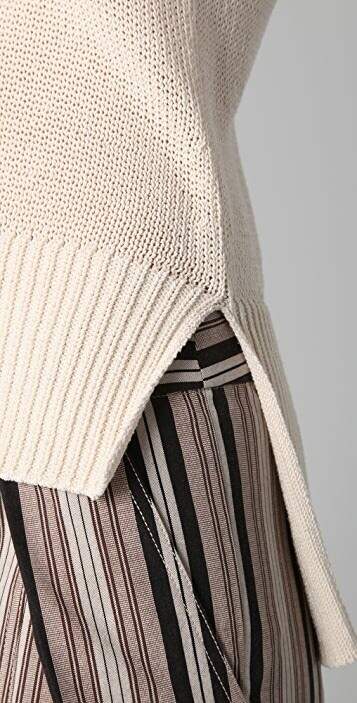 * 60% cotton/20% nylon/10% silk/10% viscose.